The staff is a team made up of Child and Adult Development professionals consisting of the director, social workers, family and child therapists, and early childhood development specialists. All members of the staff have their Child Development credentials issued by the State of Arizona. Jillian Larson created Unity, LLC in May of 2005. 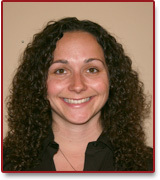 Jillian has been working in the field of Child and Adult Developmental Homes for the past eleven years. She graduated with a Bachelor’s degree in Social Work from St. Francis College in Loretto, Pennsylvania in 2000. 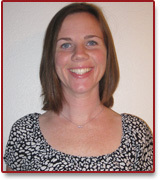 She also received her Master’s Degree in Social Work from Arizona State University in 2005. She truly enjoys working with children and adults that have special needs. Shelby Hightower is from Minnesota, where she received a Bachelor’s Degree in Social Work from St. Cloud State University. During college she worked with teenagers with disabilities and mental health issues. After graduation she worked as a group home manager and licensing specialist. While growing up, Shelby's parents fostered teen girls. Shelby's interest in Social Work was inspired by her parents. Javier Campos has been working with children and adults with special needs since 2004. 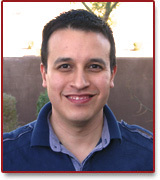 Javier was raised in Northern Arizona and has two younger sisters, two nieces and one nephew. He graduated from Arizona State University with a Bachelor's Degree in Psychology and a Minor in Southeast Asian Studies. He was previously a DDD Support Coordinator with the Adoptions Unit for almost six years. During his time with the state, he completed over 85 adoptions for special needs children. He started working with licensing developmental homes in January 2011. He enjoys mountain biking, cycling, hiking, cooking and spending time with his dog, Lucy, a 9 year old Weimaraner. He is very passionate about adoptions for children with special needs and supporting adults with developmental disabilities and their families. Janet Haring received a Bachelor's Degree in Marketing from Penn State University in 2002. After graduation she quickly became a District Manager for a retail sales company. 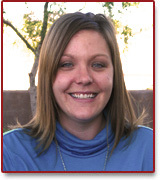 In October 2006, she relocated to Arizona with her family and was a Sales Director for a local restaurant. After having her second child, Janet came to work part-time for Unity, LLC as the Administrative Assistant in November 2008. This allows her to spend valuable time at home with her husband and two children. 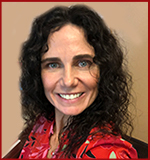 Christine Hockenbroch received a Bachelor's Degree in Special Education and a Masters Degree in Education from Bloomsburg University. She has twelve years of teaching individuals with a variety of disabilites. Christine was also a social worker for individuals with mental illness. Christine enjoys spending time with her family and her two cats.